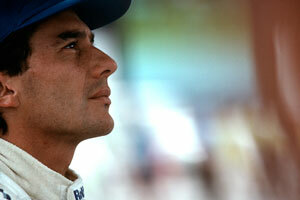 Today is the 14th anniversary of the death of the great Ayrton Senna, the last fatality in Formula 1. And while FIA President Max Mosley is under intense pressure to resign because of his sexual adventures, it is worth remembering that one of the reasons for this statistic is that Mosley acted decisively after Senna's death to deal with reactions to the accident, and to start a safety campaign, dictated by careful scientific study. The results of those studies were seen at the weekend when Heikki Kovalainen crashed at high speed in Barcelona. The Finn survived what would have been a fatal accident 15 years ago, because of many of the innovations that resulted from the deaths of Senna and Roland Ratzenberger. Before that dark weekend, Formula 1 went through a period of 13 years when there were no fatalities at races, although Elio de Angelis died after a testing accident in 1986. His death was largely due to a lack of safety staff and equipment and played an important part in improving safety in F1 tests. Last weekend also witnessed a terrifying accident at Monza, where Stefane Ortelli's ORECA Courage sports car got sideways at high speed as it approached the first chicane. The car took off when air hit the flat bottom and it flew through the air, narrowly missing the Audi of Allan McNish, which was ahead in the chicane. The Courage then cartwheeled several times. Ortelli suffered only a broken ankle. This was a reminder that safety campaigns must continue, looking at each accident and working out how a repeat could be avoided. The progress towards better safety continues, and whatever happens to Mosley in the months ahead, the improvements of safety will stand as his perhaps his greatest achievement in the sport. It does not excuse other failings, but it is nonetheless a monument to his presidency.